Welcome to our Friends page where we hope to feature some of our many friends old and new! If you'd like to be featured on this page, simply send us a photo (compressed .jpg), with a short bio and we'd be delighted to add your details! The" Cigar Mile High Club". 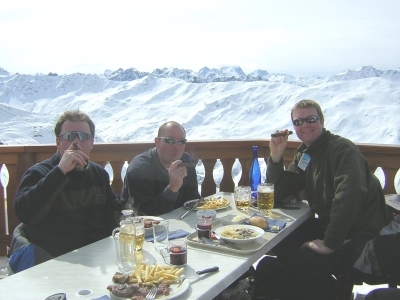 The air's thin this high - David, Glenn & Jeff recommend a rest between enjoying Cohiba's Siglo VI, and tackling the red runs of the French Alps! 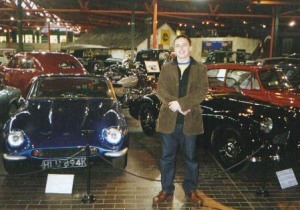 My name is Mike Lawrence and I live in Bedfordshire in England. I have been smoking cigars for just over 5 years now, my occupation is in security and enjoy chilling out with a nice cigar and a glass of my favourite tipple' Absinthe'. I have many favourite cigars but I enjoy the wide variety available so I'm working my way through the lot. 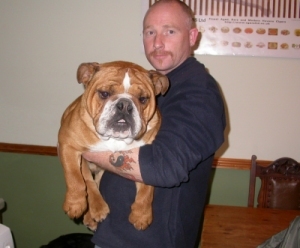 My pride and joy is my British Bulldog 'Harvey' who is a mischievous little so and so but extremely funny. I've been smoking cigars for the past ten years. I began smoking La Gloria Cubanas, ERDM, and other premium domestics. Then my 78 year old mother went on a cruise and brought home an Upmann Tubo, my first habanos. I savored it's exotically earthy and spicy unlit state for several days before succumbing to the urge to light it. Halfway through it's swirling tastes of earth and leather (or was my head swirling?) I knew I had to have more. I have been shifting my collection ever more toward the Cuban, but still enjoy an occasional domestic cigar, mostly Nicaraguan in origin. Habanos favorite lineas are Partagas, Flor de Cano, H. Upmann and Cohiba. Favourite sizes are Robusto and corona Gorda, but all have their merits. Whenever I am asked, "What is the best Cuban cigar? 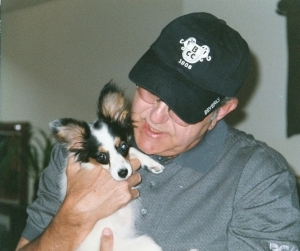 ", my standard response is, "The next one"
Here's a picture of me with my Papillon puppy Nick. 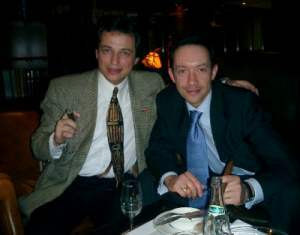 Cuban cigar aficionado from Switzerland enjoying a cigar with Mitchell in Geneva. I was born in 1959 in Arcadia, CA (USA) but my parents wised up and moved back to Texas before I was a year old. I started smoking cigars with my father as a child and buying my own cigars when I went to college. First premium cigar was in '82 after a Connoisseur magazine article on cigars said the best non-Cuban was the HdM Excalibur (Thompsons before that). First time I tasted flavors - that Excalibur III. First Cuban was from my cousin on a trip to Dallas at about that time. I prefer stronger, fuller bodied cigars, but occasionally smoke medium or mild sticks. I appreciate and even admire well-made cigars in general; even of brands I do not like. I consider Rothschilds (robustos) and coronas the sizes by which a brand can be most easily judged, although my favorite size in the gran corona. tobacco, there are many superstitions, and the chiefest is this - that there is a standard governing the matter." "Concerning Tobacco," Mark Twain 1893. My general philosophy? Of everything I could be sorry about, I am most sorry that I have missed things because I listened to the warnings of small souls. Additionally I'm into rock music, cinema, cycling and sailing. But that still leaves plenty of time for a fine smoke and a quality beverage! 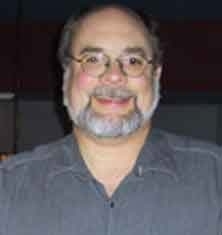 My name is David Thornton and I live in San Antonio, Texas. I have been smoking cigars for 15 years and have only smoked less then 40ish Cubans. Mostly by being in the right place at the right time. 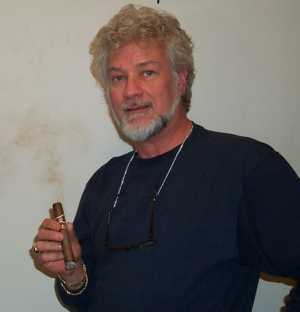 I have been a long time Arturo Fuente, Partagas, Montecristo and Sancho Panza smoker. My office and home are lined with humidors and my friends enjoy spending time with me when I have a HERF at my home. I would entertain the thought of being a monthly tester for you all, would be a highlight to smoke and write down my notes. I do it anyways. I own a Home & Commercial Security systems company and we are State wide. I hope this helps. unless set off with a Cuban and a light dusting of cigar ash, suggests the right level of louchÃ© relaxation in ones work. Journalist by trade, so also experienced in rambling on in an erudite and colourful way. Call me Mig, or Ahab, or whatever! MO says I can be a taster and tester, or a testy taster, of his fine brown elliptical beauties if I expose myself to the netside of his business.... My actual name is Mike OConnell, but my netname is Mig and this is how I am known at cigar events and in alt.smokers.cigars---Mig came from contraction of my name in Spanish, and the rest is history. I have been an avid stogiephile for about 8 years--although I almost stopped when I started with a cheap, dry, tasteless assortment from Thompson many moons ago! 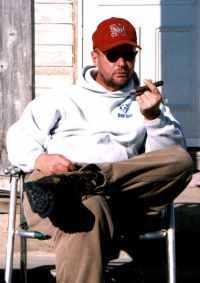 I started smoking cigars after my father passed away in June, '01. He loved his cigars and as long as I can remember he always seemed to have a cigar handy. For years after I graduated High School he tried to get me to smoke a cigar with him. I thought they were the stinkiest things ever, so I always passed. Robusto, came up and delivered a knockout punch to my head!! By the time I was finished with the cigar my lips were tingling and I was having hot flashes in 93+ degree summertime weather. I WAS HOOKED! The thing I remember the most was the wonder flavor after I had finished the cigar. Wonderful!! My dad always wanted to smoke a cuban cigar and never did. 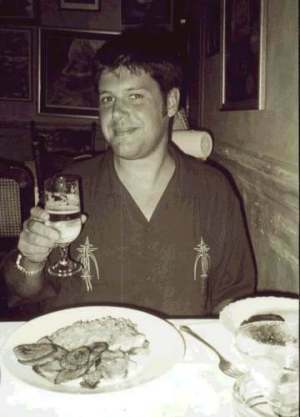 I just wish I could have started a few year earlier, he would have loved cubans. and several boxes converted using humi-sticks for miscellaneous storage. for special occasions. I am really looking forward to my first shipment from C. Gars Ltd.
My name is Eric Hill, I am 23 and live in Birmingham UK. I am currently studying for my PhD and have recently got engaged to my girlfriend Michelle. 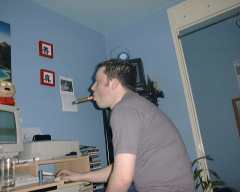 I have been smoking cigars for the past 2 years, after trying my first when i graduated from university. I started smoking Dominicans, but soon discovered Cubans. After trying a number of online stores I discovered the C.GARS website and was impressed with the product descriptions and reviews which helped me enourmousley, especially as I am a novice. My favourite smokes so far include Cohiba Robusta and Siglo III. Cuban cigars- HdM Le Hoyo de Dauphin. I usually enjoy my smokes in the company of my dogs outdoors (as if the picture didn't give it away!). My favorite beverages with cigars are wine and coffee. I love cigars anytime of the day or night, but I save my Cuban vitolas for special occasions! A little about myself. 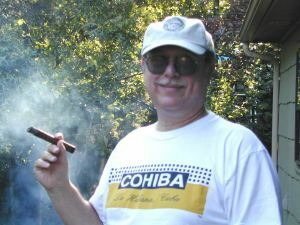 I have been an avid cigar smoker for over 10 years. My hobbies include: cigar collecting, playing golf, performing music (guitar & bass player), bike riding, bowling, spending time with my family, and sharing my life with my beautiful wife of 20 years, Patricia (Trish) Hanes. (the Winter 2002 issue is on the newstands now). I have been a CGARS customer as of Dec 2001. My wife, Trish, presented me with a box of Monte #2's (purchased through CGARS), which made for a fabulous and very tasty Christmas present. Due to my travel to the island and some past inquiries by the Treasury Dept. 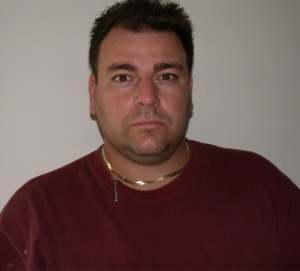 It's best to be known as JOE P. and my geographic location secret. activities. I enjoy motorcycle riding. One of the sexiest things is watching a woman put on lipstick. Kentucky tea. Non-alcoholic choice is an ice cold can of Pepsi. I enjoy a nice filet and some swordfish cooked on the grill, at home. I've been smoking cigars for 22 years. After high school, I joined a men's bowling league with my older brother and my dad. It was sponsored by The Holy Name Society of St. Hyacinth's Church. Doctor's office, I asked him if he had to do it all over again, would he still have smoked ? He thought about it for a minute and said he wouldn't change a thing. Cigars and memories are a passion for me. I've attached a pic of my old man from the 1960's and one of me from the island. I'm an Architect in the Kansas City Area of Kansas, U.S.A. I'm 44, married, have 6 children ages 17 to 25. I've smoked cigars for 6 yearsâ€¦average 3-4 a day. I smoke about 25% Havanas 60% Fuente and the other 15% all over the board. Some of my favorite Havanas are Punch Punch, H. Upmann #2, Trinidad, and Diplomaticos #5 & #2. However, I smoke all around the brands. Karen and I live in Belfast, Northern Ireland. I am 31 years old, work as a Solicitor and have been smoking Havanas for the last 5 years or so. I try to travel to Andorra (a tiny Principality on the French-Spanish border) at least once a year to stock up on duty free quality Havanas, although since discovering CGarsLtd I think I'll save the air fare from now on and buy on the net !! 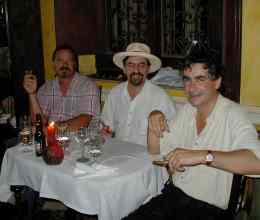 My favourite Havana is a Montecristo No 4 although I still manage to get through a few Partagas Coronas. In may view the best way to enjoy a quality Havana is to get your hands on two and share the experience with a friend, preferably outdoors. Some of the most memorable Havanas that I have smoked have been with my father-in-law coming off some freezing lake or river in Ireland at sunset after a long day fishing. Hard to beat ! If it wasn't for the calming influence and temperance of my dear wife I would have probably by now already sold this computer and bought some more Havanas !. 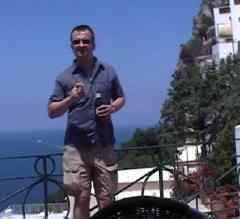 Hello, my name is Adrian Boliston, am 36 and I live in Somerset, UK, with my fiance Susannah, and work in IT & accounts. I enjoy foreign travel, having recently visited California & Hong Kong. I am quite new to Havana cigars, having switched from cigarettes to cigars only 2 months ago, but could never go back to cigarettes now I have tried a real smoke! I started by visiting my local smoke shop, but they do not have the complete range of havanas that CGars have. My favourites so far have been H. Upmann Connoisseurs No. 1 and Cohiba Robusto and I generally have one cigar per evening, at one of my many local pubs together with a fine pint of real ale. champagne, wine, and am a pretty good cook. Originally from NY, I've lived in Colorado for 27 years. Generaly, I do all those things bad for you, but do so in moderation (well maybe not cigars !). Work hard, play harder, sleep when you're dead, could describe my style of life. MO you might remember, I also started a cigar company in the Philippines in 1996 (now defunct) and got to create the companies' various blends (that was much fun). I've been smoking cigars for only 1 1/2 years and average around 2 a week. My recent triumph was creating a Walk-in humidor in my basement for under $750 that now houses over 400 premium cigars of all marques, sizes and shapes. As with most, I am in search of the perfect smoke. I'm married with 3 boys 16, 12, 11.
in IT. I am a technical trainer - train people on how to become Java, VB6 & COBOL programmers. 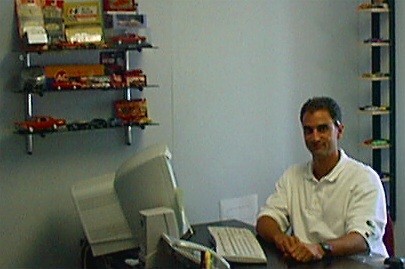 Have been involved in computers and training for more than twenty years. 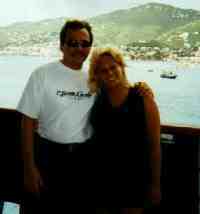 My favorite vacation is a cruise (see pic!) in the Caribbean. A great day for me is to sit on the deck of a ship, over looking the ocean, drinking Cuban coffee, listening to music and smoking a nice ISOM cigar at sunrise. For sunset, just exchange 'Cuban coffee' with 'adult beverage'! I discovered LCDH cigar stores back in the '80s (they are all over the Caribbean) and my fave is in Marigot, St. Marten. A new LCDH has opened in Grand Cayman (owned by Valerio) and is a close second (he has an awesome Cubita coffee bar in the corner). I live in northern New Jersey, USA. 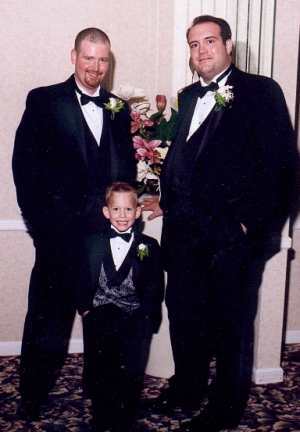 In this photo from my wedding I'm to the right of my best man Don, and the cute one is ring bearer Dennis. I have been into cigars for about five years, and have been learning about and sampling Havanas for about a year. It's amazing how Havanas differ from the cigars from other regions, not only in appearance, aroma, and taste, but how much there is to learn about the different brands and vitolas. I probably spend way too much time thinking and reading about cigars, thankfully I have a very understanding wife. I was like the proverbial kid in a candy store looking at the shelves in the Casa del Habano retail store (but I'd rather buy from CGARS - more friendly salespeople and better prices). Curse the U.S. embargo! Why does my country deal with every country in the world except for the one in our backyard? Anyway, thanks again to the staff at CGARS for being very customer-friendly and always having the most interesting items for sale. My name is Doug Stephens. 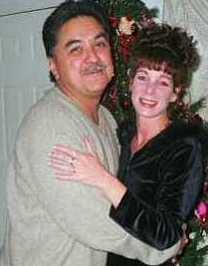 I'm 43 years old (as of March 22) have been married for 16 yrs and have a 13 year old daughter named Jessica. We live in Southeast Idaho in the Bear Lake Valley. High country(6,000 ft)!! I have been smoking cigars for about 6 years now and enjoy many different smokes, but mainly like spicy and full bodied cigars. I'm an amateur chef and a full time park ranger. My family loves camping and fly fishing and just being outdoors. I enjoy Cgars Ltd for all the right reasons and have a nice collection of single malts just for those cigars. Thanks for the chance of becoming a taste tester. 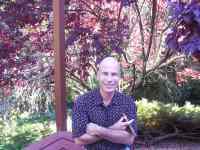 I am a "fifty-something" Pharmaceutical Sales Rep. with Berlex Laboratories, living in the Finger Lakes area of Western New York State -- a wonderful wine growing region. I have been happily married for 32 years, and have a son who is enrolled in a Music Studio Engineering program in Orlando, Florida. While cigar smoking represents different things to different people, personally, I find myself enjoying fine cigars in the accompaniment of fine wine, and aged Cognac. Although a cup of strong, black coffee also adds to my smoking pleasure. time for my cigar enjoyment. I owe my introduction to Cuban cigars to Steve Saka and his MOTT. I was a taste-tester in a MOTT which included a Montecristo No. 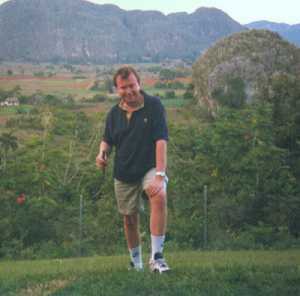 2 -- after that, I was hooked on Habanos. Among my favorite smokes are the Monte No. 2, Upman No. 2, RyJ Cazadore, Bolivar Corona, and the Rafael Gonzales Lonsdale. I also enjoy Fuente Hemingways, Don Carlos, LGC (Maduro) Churchills, and most recently, Maria Mancini Churchills. 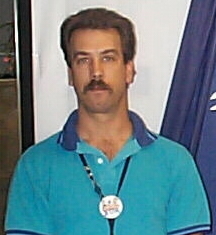 My hobbies include skiing, Judo (I hold the rank of Shodan), Tai Chi, and coin collecting. I am an ex-cigarette smoker of 16 years, cigar smoker of 5 years, pipe smoker of 3 years. I am a software engineer by trade. My interests are reading, technology, cats, tobacciana, and female art. I am 33 years old. form, body, size, etc. I like to travel to meet and smoke with new friends - many of my very best friends have been made via this route. 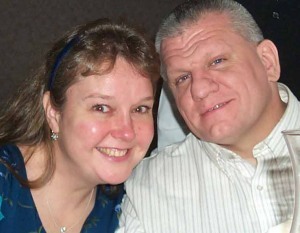 I am 54 years old and live with my wonderful wife Tina and our German Shepard Phoenix in northwest NJ. 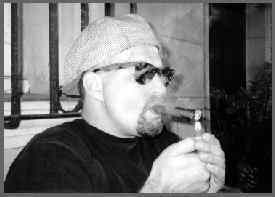 I've been smoking cigars since 1995, Cubans since 1996. I like to try out different brands and sizes of cigars and have some favorites that I always come back to like Cohiba Siglo IV and Bolivar Belicoso Fino. This is me in Galway Ireland with a mocha latte, I followed that with a Ramon Allones Specially Selected (from C.GARS Ltd. of course) a wonderful way to start the day. 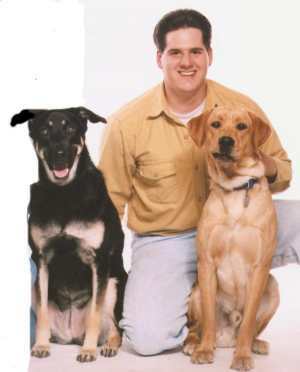 I reside in Denver, Colorado with my wife Amy and our two dogs, Elvis and Presley. I have been enjoying cigars for over 6 years, my first smoke being a Henry Clay Brevas Finas. In my spare time I enjoy playing the mandolin and collecting/smoking fine cigars. LA GLORIA CABABA, MONTECRISTO AND WHEN I CAN GET THEM FUENTES OPUS X.
Scott Edwards has been enjoying cigars for many years now, and enjoys finding the perfect Single Malt Scotch to accompany his evenings choice of cigar. Scott is well known amongst his friends for being able to pick up on their likes and dislikes in cigars, and always finding the "right" cigar for them. 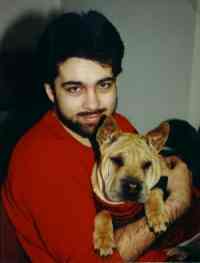 Scott is 41 years old and lives in southeastern Pennsylvania. He also is an avid reader and jazz aficionado. 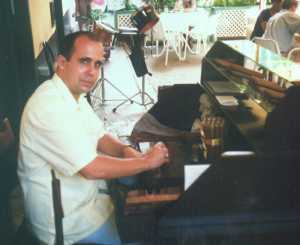 My good friend Manolo is a grade 7 roller attached to the Partagas Factory in Havana. He makes the best Piramides and Robustos I have ever had the pleasure of smoking and the blend is quite individual and exquisite. My husband has been an avid cigar aficionado for the past 19 years much to my delight! My hobbies include interior design, antique sales, fashion shows and pets. The cigars that I enjoy include Macanudo and Al Capone Sweets. My husband contributes to the ASC newsgroup where we have enjoyed meeting some very nice new friends. I have been smoking premium cigars for about 6 years. Have tried and logged over 400 different brands including all current and some pre-embargo and discontinued Havanas. I only smoke an average of 3 cigars a week consisting mainly of Havanas and the rest a combination including Fuente made products. I have been a taster for Cigar Weekly and Cigar Nexus and really enjoy the blind tastings because it takes away the bias of knowing what it is. I have learned a lot and have met many great cigar friends through Cigar Family and would highly recommend checking it out. 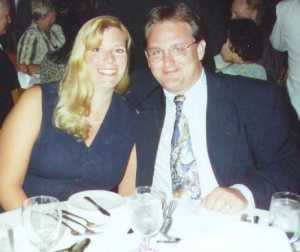 The picture is of me and my wife Karyn who also enjoys an occasional Havana. 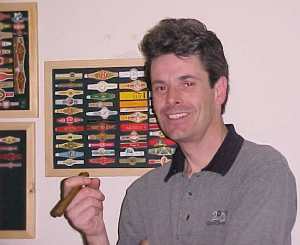 I started smoking pipes in the late seventies and a little over a year and half, I started smoking cigars. My first being a Cuban Punch. I liked it so much, I visited my local tobacconist on my return to the USA. For almost a year straight, I researched and study cigars, as well as smoking many different brands. Trying to understand the terminology used to describe cigars. i.e. 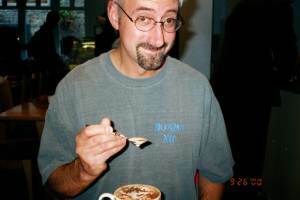 : tastes such as the spicy, coffee, leathery, creamy, -short on the finish, etc. I have since gave opinions to local tobacconists for their newsletters and rolling events. I have had my own custom humidor built which holds over 1200 single sticks and 8 - 10 full boxes. I started collecting the rare cigars and smoking some of the best smokes the world of tobacco has to offer. 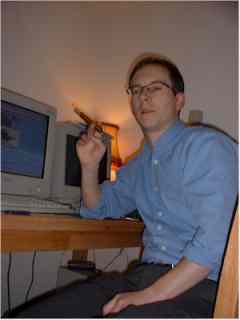 I 'cruise' the net every evening looking for the great cigars of today and yesterday. I enjoy trying the new and the greats of tomorrow! I am also avidly against the US Government proposed bill on banning cigars over the internet and of course the Cuban 1962 embargo. If anyone wishes to discuss these or the finer things of life (cigars being the dominate topic for me!!) 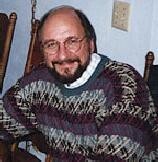 Please contact me at thirdeye@capital.net I am from Upstate New York, 8 miles north of Albany - the state capitol. I have been here since 1985. I am a contract rep for many of the top pharmaceuticals in the country. 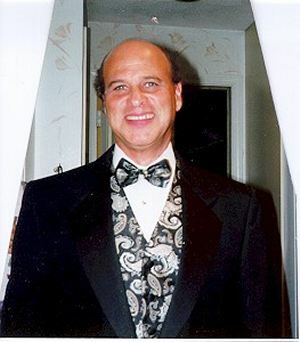 I have 25 years of medical history, starting in 1972, as a physician assistant in the Washington, DC area. I owned my own photography company, computer consulting, and of course do contract work for the pharmaceutical industry. I avidly enjoy computers, RV-ing, and of course - smoking cigars. I smoke an average of 3 - 6 sticks a day. My top three favorites are the Don Carlos - Presidente, the HDM Epicure #2, and the Cohiba Siglo III.